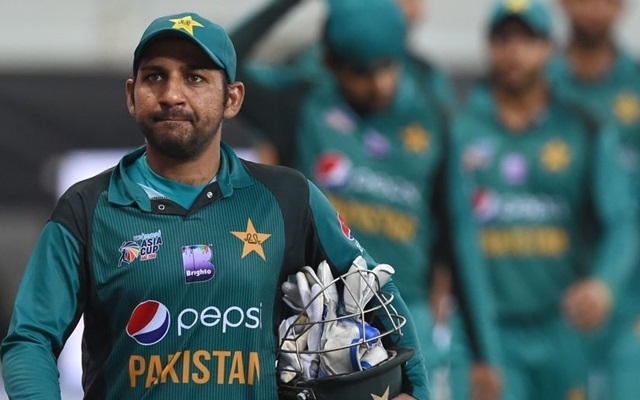 Cricket Captain Of Pakistan Sarfraz Ahmed has been suspended for four matches subsequent to tolerating that he was in break of the ICC's Anti-Racism Code for Participants following an occurrence that happened amid the second ODI against South Africa in Durban on Tuesday. "Taking part in any lead (regardless of whether using dialect, motions or something else) which is probably going to annoy, affront, mortify, scare, undermine, belittle or criticize any sensible individual in the situation of a Player, Player Support Personnel, Umpire, Match Referee, Umpire Support Personnel or some other individual (counting an observer) based on their race, religion, culture, shading, plunge, national or ethnic beginning." Sarfraz will miss the staying two matches of the continuous ODI arrangement just as the initial two matches of the T20I arrangement to pursue. According to Article 7.3 of the Anti-Racism Code, Sarfraz will likewise need to experience an instruction program to advance the comprehension and consciousness of issues straightforwardly pertinent to the offense that he has submitted. The ICC will work with the PCB to decide when and how this should occur. The occurrence was at first announced by Ranjan Madugalle of the Emirates Elite Panel of ICC Match Referees after he directed starting examinations and addressed the two players after the match. Following a further examination, the ICC General Counsel, Iain Higgins, at that point established that the player had a case to reply under the Code, and the player was issued with a charge see on 26 January. ICC Chief Executive David Richardson stated: "The ICC has a zero-resilience strategy towards direct of this nature. Sarfaraz has speedily conceded the offense, was remorseful of his activities and has issued an open statement of regret, so these elements were considered while deciding a fitting assent." All-rounder Shoaib Malik will lead the side in the wicketkeeper-batsman's nonappearance — who won the hurl and chose to bowl first in the fourth ODI against South Africa in Johannesburg. "You are largely mindful of the episode that occurred amid the second ODI," Malik said at hurl when gotten some information about Sarfraz's nonappearance. "That is the motivation behind why I'm driving the group today." Wicketkeeper-batsman Mohammad Rizwan will supplant Sarfraz in the Pakistan lineup. The Pakistan Cricket Board (PCB) has additionally issued an announcement after the International Cricket Council (ICC) suspended Sarfraz. "The PCB takes note of the ICC choice on Sarfraz Ahmed with its most extreme disillusionment. PCB had foreseen that the issue had been settled genially between the two players and the two Boards following Sarfraz Ahmed's open conciliatory sentiments which were acknowledged by the player, the Board and South Africa cricket group," the announcement said. "The PCB will be seeking after this issue at the ICC gatherings with the target to convey changes to the Code, elevating genial goals to issues rather than punishments. Having said that, the PCB emphasizes its zero-resistance approach towards bigot remarks and conduct." The Pakistan captain will return home and take no further part in the arrangement, in the mean time Shoaib Malik will lead the side for the rest of the matches. "In discussion with Sarfraz, it has been concluded that he will come back to Pakistan promptly," the announcement further expressed. "Shoaib Malik will commander the group for the remaining ODIs and T20 internationals of the arrangement, while Mohammad Rizwan has been incorporated into the T20I side."